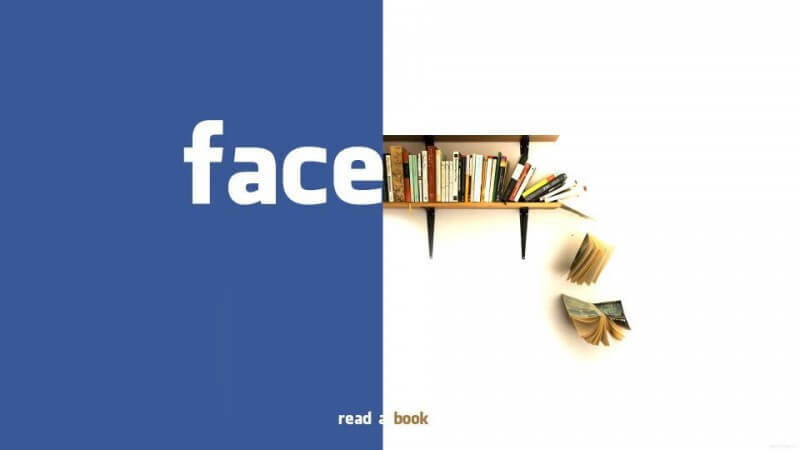 I believe that reading books can help you travel into a different world of opportunities, examples, stories and ideas. Especially if you are looking for the best business books entrepreneurs can read then this means you are on the right path to success if not already there. This is because through these books, you and me, as entrepreneurs can learn many new techniques, ideas or even skill sets that can help us avoid mistakes with our businesses or even give us a new perspective about creating more value for our customers and eventually selling more. How cool can this be? Everyone today is competing with everyone else to have the cleverest, most persuasive “answer”. So, in a world where everybody is competing with their answers, how do you differentiate yourself from everybody else? This is one of the best business books I’ve ever read, even though it is small — it is straight to the point. All marketers tell stories. And if they do it right, we believe them. We believe that wine tastes better in a $20 glass than a $1 glass. We believe that an $80,000 Porsche is vastly superior to a $36,000 Volkswagen that’s virtually the same car. We believe that $125 sneakers make our feet feel better—and look cooler—than a $25 brand. And believing it makes it true. Although small this is a must for any best business books compilation out there. Three thousand years ago on a battlefield in ancient Palestine, a shepherd boy felled a mighty warrior with nothing more than a stone and a sling, and ever since then the names of David and Goliath have stood for battles between underdogs and giants. David’s victory was improbable and miraculous. He shouldn’t have won. Or should he have? The measure of the executive, Peter F. Drucker reminds us, is the ability to “get the right things done”. This usually involves doing what other people have overlooked as well as avoiding what is unproductive. Intelligence, imagination, and knowledge may all be wasted in an executive job without the acquired habits of mind that mold them into results. No gimmicks. No Hyperbole. No Magic Bullet. The Compound Effect is based on the principle that decisions shape your destiny. Little, everyday decisions will either take you to the life you want or to disaster by default. Darren Hardy, publisher of Success Magazine, presents The Compound Effect, a distillation of the fundamental principles that have guided the most phenomenal achievements in business, relationships, and beyond. This easy-to-use, step-by-step operating system allows you to multiply your success, chart your progress, and achieve any desire. This book is amongst the top 10 best business books ever written! Here is a review of it from Brad Campbell on The WordPress Millionaire. Kennedy dares marketers to dramatically simplify their marketing, refocusing on what works. Updated to address the newest media and marketing methods, this marketing master plan — from marketing master Kennedy — delivers a short list of radically different, little-known, profit-proven direct mail strategies for ANY business. Strategies are illustrated by case history examples from an elite team of consultants — all phenomenally successful at borrowing direct marketing strategies from the world of mail-order, TV infomercials, etc., to use in ’ordinary’ businesses including retail stores, restaurants, and sales. In a bold and provocative interpretation of economic history, Matt Ridley, the New York Times-bestselling author of Genome and The Red Queen, makes the case for an economics of hope, arguing that the benefits of commerce, technology, innovation, and change—what Ridley calls cultural evolution—will inevitably increase human prosperity. This is not one of the best business books BUT it is definitely a must read to see things positive and find opportunities where there are only problems. So write Jim Collins and Jerry Porras in this groundbreaking book that shatters myths, provides new insights, and gives practical guidance to those who would like to build landmark companies that stand the test of time. Here is a book review by Paula Pant on Afford Anything. A tribe is any group of people, large or small, who are connected to one another, a leader, and an idea. For millions of years, humans have been seeking out tribes, be they religious, ethnic, economic, political, or even musical (think of the Deadheads). It’s our nature. Now the Internet has eliminated the barriers of geography, cost, and time. All those blogs and social networking sites are helping existing tribes get bigger. But more important, they’re enabling countless new tribes to be born—groups of ten or ten thousand or ten million who care about their iPhones, or a political campaign, or a new way to fight global warming. 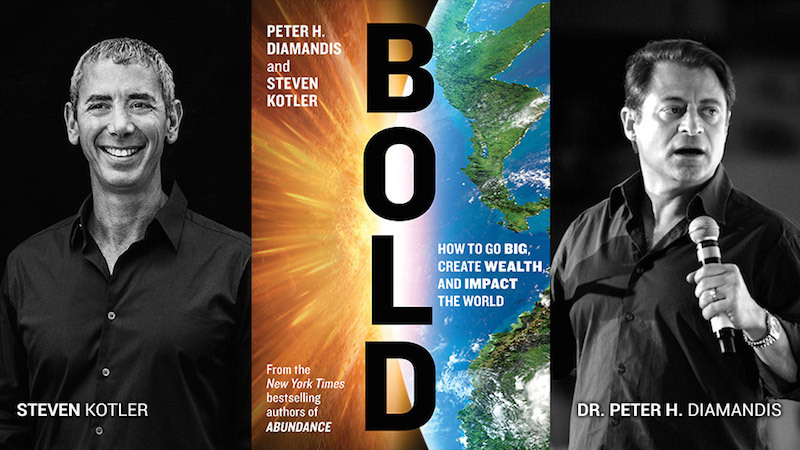 Bold is definitely amongst the best business books for entrepreneurs. It unfolds in three parts. Part One focuses on the exponential technologies that are disrupting today’s Fortune 500 companies and enabling upstart entrepreneurs to go from “I’ve got an idea” to “I run a billion-dollar company” far faster than ever before. The authors provide exceptional insight into the power of 3D printing, artificial intelligence, robotics, networks and sensors, and synthetic biology. Part Two of the book focuses on the Psychology of Bold, drawing on insights from billionaire entrepreneurs Larry Page, Elon Musk, Richard Branson, and Jeff Bezos. In addition, Diamandis reveals his entrepreneurial secrets garnered from building fifteen companies, including such audacious ventures as Singularity University, XPRIZE, Planetary Resources, and Human Longevity, Inc. In Part Three, Bold closes with a look at the best practices that allow anyone to leverage today’s hyper-connected crowd like never before. Here, the authors teach how to design and use incentive competitions, launch million-dollar crowdfunding campaigns to tap into ten’s of billions of dollars of capital, and finally how to build communities—armies of exponentially enabled individuals willing and able to help today’s entrepreneurs make their boldest dreams come true. To sum up this best business books compilation I would like to add one of my personal stories. Last year I went into professional business & marketing consulting starting from $1.000, to do basic marketing stuff for my customers. As 2015 reaches to its end, I am able to negotiate contracts up to $35.000 per customer for business & marketing consulting projects. That’s a 500% increase in the value of the contracts I’m negotiating with potential customers and all of it came from reading books and learning new skill sets. So be sure to go check the other two compilations below and I’m sure you are going to discover very important things. Love this list of business books Vasilis! So far I’ve read Dan Kennedy’s “No B.S. Marketing” – it’s definitely a MUST for every marketer. I’ll get my hands on the other book as well! Thanks for sharing them! Thanks for these great book recommendations, Vasilis! Love the recommendations Vasilis! It’s a reminded to get The Compound Effect and Tribes. Sure thing Alex. Excited you found this useful! What an amazing array of Mind Food. I love Seth Godin’s type of menu and I absolutely love David & Goliath. For the Miraculous Victory and the promise that anything is possible for Them that Have a fierce sense of Self Belief and Fearless boldness. Vasilis I am off to find the rest of them books coz reading is The bomb! WOW thanks for this today. Wow- What a great list of books. Most of the lists I read of this type are typical of the common Success books- which are certainly great- but there are some I haven’t heard of and look forward to reviewing myself in the future. Thanks so much. Appreciate it Jamie! Glad you found this list interesting. I’m glad you found them useful Michelle and thank you for using my affiliate link. “The Art of Changing Hearts, Minds, and Actions ” Still the best book on the subject. In my opinion of course. Although I haven’t read all of this worthy of the list. Will definitely add this in my list Yan. Thank you for sharing it with us.